This weekend was a long weekend - 4 days - because of the religious holidays in Switzerland. On one of the last weekends that I'll be here I wanted to go out into the mountains and hike. I'm determined that my memories of Switzerland will be positive ones and so I wanted to build up a few more memories. In the past if I was planning a hike I'd have searched the internet for places to walk and to stay, looked up train and bus timetables and taken a map. This time all I took was my iPhone. The first app I used was the SBB mobile app. This is a whole travel planner in one app. You put in your starting point and where you want to go, the date you want to go and the time of departure and the app generates several different possible journeys. This app works on all public transport, so it shows buses that connect with trains. In usual Swiss efficiency, you never have to wait for these connections. When you have decided where you want to go and which form of public transport you want, you can then buy your ticket - directly onto your iPhone. This generates a QR code on your screen that can be scanned by the ticket inspectors on the trains. 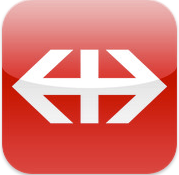 I have no idea if other countries have similar apps for their public transport - but if not they should. It makes planning your journey incredibly easy. 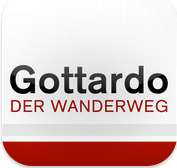 The other app that I used on my hike was the Gottardo Guide. This app contains a map with red dots showing the highlights of the hike. As you hike your location is shown up as a blue dot, and when you are in the vicinity of the points of interest the app generates a train whistle that alerts you to the information about where you are. There are photos and also suggestions for side trips that you can take slightly off the route. There's even a quiz you can do as you hike. The only drawback is that this app is all in German. No problem for me as I was hiking with a German friend, but it would be useful if it came in other languages too. This app has been nominated as the best app of the year. Both these apps are free and certainly make planning days out very easy. The photo taken at Silenen was also taken on my iPhone using the app Pro HDR. It shows the oldest inhabited house in the canton of Uri and the Bristenstock in the background. Pro HDR is not a free app - it cost me Chf 2, I think. With the latest version, which got updated for free as I'd bought the earlier one, there are lovely filters and frames and the option to zoom. I've blogged about this app before because I love it. It takes pictures very close to what the eye actually sees. My point and shoot camera tends to wash out the skies and mountains, or else has everything in the foreground in the shadow. Pro HDR actually takes 2 photos, one of the light areas and one of the dark areas and then merges the 2 together. 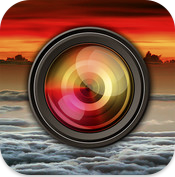 The app has automatic as well as manual mode. Mostly I use automatic.